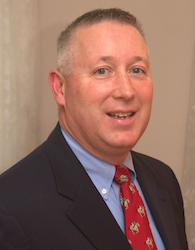 Dr. David Ellefson, DVM, is Director of Technical Services at Bimeda. He is passionate about animal health and the ethical use of products; and a key element of his role is helping customers understand how a product is used most effectively. A former practicing veterinarian and practice owner, Dr Dave has a wealth of experience in animal health issues and a full understanding of the issues and concerns facing veterinarians and animal owners. In this section, Dr. Dave provides information regarding general parasite control in livestock and horses and highlights how the Bimectin range of products can play a key role in helping to control and treat parasite infestations. In this section, Dr. Dave provides information regarding general parasite control in livestock and horses, with a specific focus on resistance issues and the responsible use of anthelmintics.